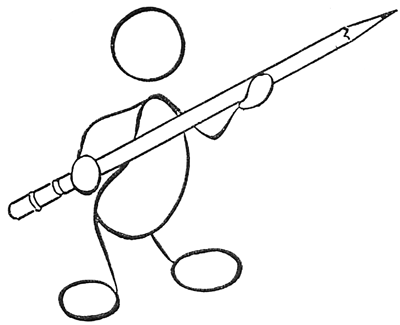 Start drawing the individual cartoon characters by lightly sketching the basic shapes that make up a comic figure. 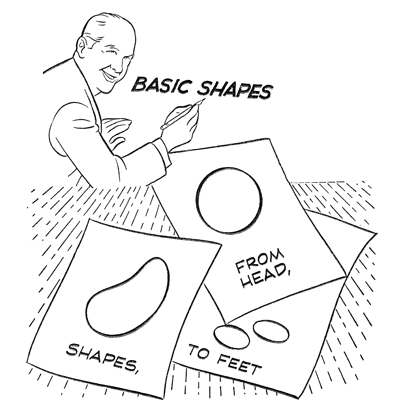 We will show you how to make a basic shape of a cartoon person. 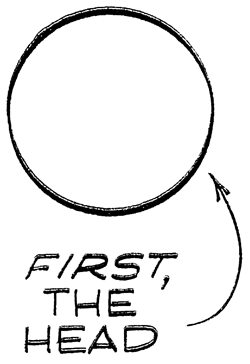 Firstly, draw the head as a circle. (You can look at more details for drawing a cartoon face with this tutorial on drawing cartoon faces and heads). 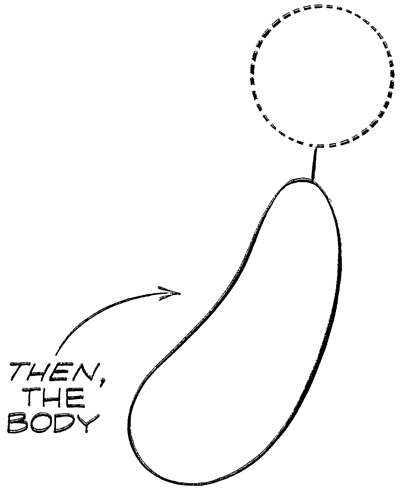 Then draw the person’s body as a lima bean shape. Connect the head to the body with a line. The draw the hands and feet. 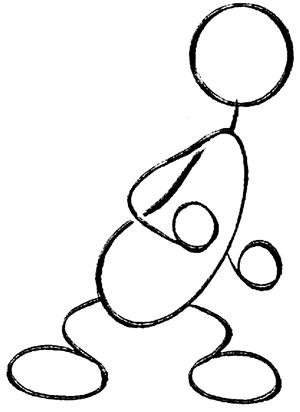 The hands are circles and the feet are ovals. 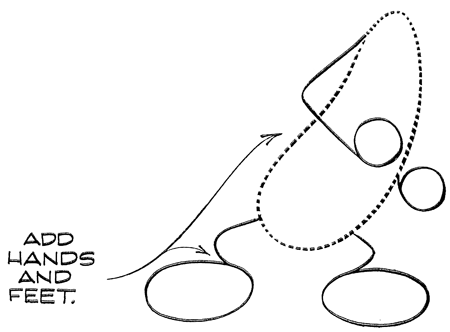 Connect them to the body with lines. 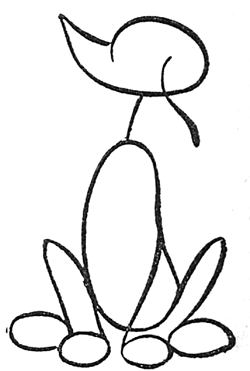 Remember that the lines should bend at the knee, unless standing straight. Remember that the arms bend at the elbow, unless arm is straight out. 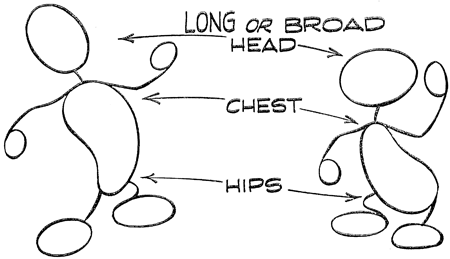 Notice how you can change how a cartoon person looks by changing the shape of the heads and body and the proportions to eachother. If you want to learn how to draw cartoon faces, cartoon bodies, and cartoon hands and feet – then you will really enjoy looking at more cartoon drawing tutorials here. This rocks! 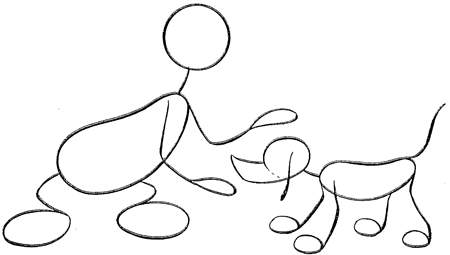 I have to do a hand drawn cartoon for my art class and this is an awesome way to draw. Simple, easy, and cute! I think that this is soooo useful. My mom hates it when I draw these top odel figures so this is a real relief for her. She is an Exhibit designer. I can’t wait to show my own creations with this to my Art teacher. Thanx a lot! I will so recommend this website to my friends. That was great thanks when I grow up I want to be like you!